Professionally engineered. Fully integrated. Remarkably executed. With separate systems for select 2WD and 4WD Next-Gen 2019 Sierra - Silverado models, each system features front and rear passive monotube dampers specifically tuned to the chassis, jounce bumpers, rear leaf spring spacers and much more for fully integrated installation. An exclusive Front Camera Reconfiguration2 and an Electronic Power Steering Calibration2 is included so that all driver-assist systems continue to function seamlessly. Read the vehicle owner's manual for important driver-assist system feature limitations and information. Expert installation by an authorized GM Dealer is recommended. At GM Parts Store you will find only new Genuine GM parts at discount prices. 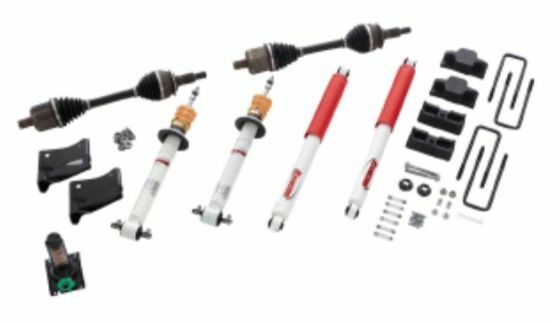 This GM 2019 Sierra / Silverado 2" Lift (Part# - 84629787 ) Is the engineered replacement for you GM vehicle. We are your GM Parts Store Online. We will ship your GM Parts Direct to your door. We are proud of our fast shipping and friendly service that cannot be beat. We offer OEM parts (Chevrolet Parts, Buick Parts, Cadillac Parts, GMC Parts, Pontiac Parts, Hummer Parts, Saturn Parts, Oldsmobile Parts) at wholesale prices. Combine all of this with Free Returns and you can't lose guaranteed. Shop now and save.